A Multi-Tool is one of the most versatile and useful tools you can own. 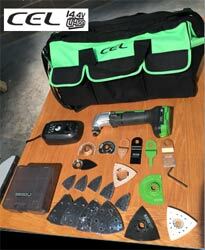 Here you have a chance to win a CEL 144MT Multi-tool, 14.4V 1.5Ah Li-ion battery, Fast Charger, Heavy Duty Tool Bag and Extended Accessory Case – sanding, grinding and cutting. The whole prize is worth over £139! This competition closes on 2nd March 2015 at midday. The winner will be selected at random – good luck! 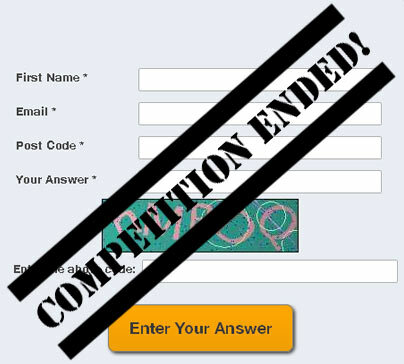 All you need to do is answer the simple question and complete the entry form. If you get stuck you can find the answer on our website. Hint: The answer to this question can be found in this Project Guide. Question: Which of these is NOT a recommended way to fix plasterboard? ?